This lovely tradition has been enjoyed in many English speaking countries like the US, Canada, and England for many years. But what you may not know is that many countries and cultures have traditions surrounding the rite of passage of children’s tooth loss. I thought that it would be fun to share some of these traditions with you. of baby teeth seem to fall in one of three categories; a character that collects the teeth and leaves a present, the child throwing the teeth in various locations, and the placement of teeth in special places. 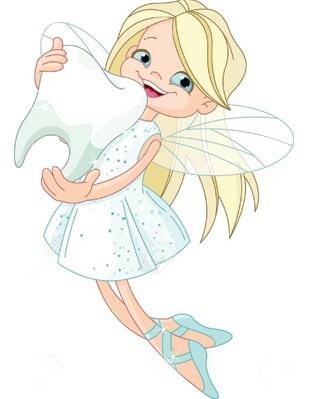 Other traditions similar to our tooth fairy are found in France and several Spanish speaking countries. The character in these countries is a small mouse. In France he is known as La Petite Souris while the Spanish version is a tiny rodent called Raton Perez, Ratoncito Perez, or Raton de los Dientes. This tradition predates our tooth fairy by several centuries. The little mouse also takes the child’s tooth left under their pillow or in a glass of water beside their bed and leaves a coin or small present. Another interesting tradition is that in many countries children throw their newly lost tooth onto the roof of their home and ask that it is replaced by a new healthy tooth. Some make this request of the sun, some of a little mouse who will take it and leave a strong new tooth, and some hope that a bird will take it and leave another. There is also a tradition of throwing the lower teeth on the roof and the upper teeth on the ground hoping that the new teeth will grow in the direction of where the baby tooth is thrown. Lastly, there are traditions surrounding various placements of the teeth. In some Russian families, the baby tooth is placed in a mouse hole in hopes that the mouse will bring the child a healthy new tooth. In other cultures the tradition is to bury the lost tooth by a straight tree so that the new tooth will grow straight and strong. In some parts of Turkey, folklore states that the baby tooth holds the key to the child’s future. Thus, whatever the parents want a child to be they bury the baby tooth in or by that area. An example would be that if the parent wanted their child to be a soccer player they would bury the tooth in a soccer field. Spring is a wonderful time to think about taking care of your teeth. Nothing is more beautiful than a great smile. We would like to extend to you the invitation to make an appointment for a Complimentary Smile Analysis at our office. We will evaluate your dental needs and consult with you on your goals to achieve a beautiful and confident smile. For more information call our office at (610) 696-9135. About Dr. DeLoache: Originally from Ohio, Dr. Yvonne DeLoache graduated from the University of Michigan School of Dentistry. After her residency she moved to Pennsylvania and opened a practice in West Chester. She has been a “hometown, family dentist” ever since. Performing all areas general and cosmetic dentistry, Dr. DeLoache truly enjoys taking care of her patients, getting to know them well, answering their questions, and allaying their fears. Along with her clinical practice she also teaches at the University of Pennsylvania, School of Dental Medicine which allows her to be exposed to the latest in dental treatment and technology. Dr. DeLoache and her husband R. Blake Edmonds, DMD have two grown sons. They are longtime members of The Church of the Good Samaritan in Paoli. In her free time, Dr. DeLoache enjoys reading, writing, painting, and has recently started fly fishing. Next Story → Enjoy Hot & Cold Foods Again Pain Free!